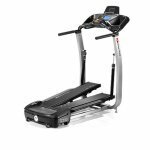 The Bowflex Treadclimber TC3000 is a cardiovascular machine that’s a hybrid mix of a treadmill, elliptical, and stair stepper. It’s innovative, saves a lot of room, and if you love stairs and ellipticals you will really be attracted to a Treadclimber. As a treadmill though, the Bowflex TC3000 leaves much to be desired, since you can’t run on the machine. UPDATE: This model is no longer being sold. Bowflex has introduced all new models to replace the TC3000. 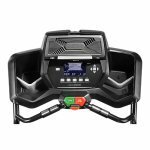 he company offers a “100% Satisfaction Guarantee” but as Bowflex treadclimber reviews will often point out - it’s a hassle to return a 185-lb piece of equipment to the manufacturer - and do so in the original condition and packaging! For the money and all the trouble to get it home and set it up, fitness experts like to see something more than these incredibly limited warranties. The Bowflex TC3000 is a machine you expect to pound on every day and one that will give you the durability of a similar machine at the health club, and they question why the company won’t stand behind the treadclimber’s hydraulics for longer than one year. 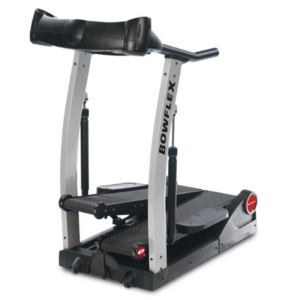 At $1899, we SO wanted the Bowflex TC3000 to be THE ONE; the answer to all our fitness needs. Absolutely, treadclimbers are a great idea for those of us who love ellipticals and stairclimbers - and the idea of having them in one machine is brilliant! But the Bowflex TC3000 doesn’t live up to our expectations for reliability and durability, and it’s “treadmill” appeal really isn’t there - unless you like the idea of walking on an uneven surface. Until Bowflex comes up with a better quality treadclimber, you should go with either a treadmill that gives you an incline, or choose an elliptical machine instead of taking your chances with the Bowflex Treadclimber TC3000.